Life is not a game. Too many of us go through life as if the mission is to be totally entertained. Most people are afraid of death, yet they may not have ever truly lived. Very many people assume that they are alive. To go through existence merely imitating others and spewing out what was poured into one by society… may not be “living” whatsoever. It is so easy to conform. It is so easy to just fit in the machine and be another cog in the wheel. Only a very few have been visited by that timeless energy that enraptures and transcends consciousness. To inquire — to really inquire — into whether or not the sacred exists, takes great passion, great profundity. A stagnant, indifferent mind could not do it; stagnation and indifference make the actual answer all the more elusive, for the answer lies beyond limitation. To find the true answer necessitates that the mind be of considerable order and completeness. An incomplete mind is never fully alive, never fully whole. The world has far too many seeds (of consciousness) that have never sprouted, that have never really begun growing. The answer is immeasurable and cannot be communicated about via mere fragments/words/symbols/patterns. The minds of most people consist largely of mere fragments/words/symbols/patterns. Thank you much, Luda! 🙂 Most people just wouldn’t care much about the deep stuff… but that’s just most people. Yes, hard to find evolved souls , but more and more awaken …thank you, Tom!! In partial response, I find that indifference is the enabler of hate. To engage life fully is to know yourself without filters, to turn anger into passion and to recognize distractions that rob us of time in the name of keeping busy. And there is no finish line. Indifference and hate sure do ride together often. Bosom brothers they are! Oops/ That should be “rob” not “robs.” I was distracted. I am an avid learner, forever fighting the “incomplete mind.” Through knowledge one gains perspective. Once you hold perspective in your hands, you can no longer subscribe to indifference. Beautiful words, spoken by you. Great job. You are very much still a teacher. 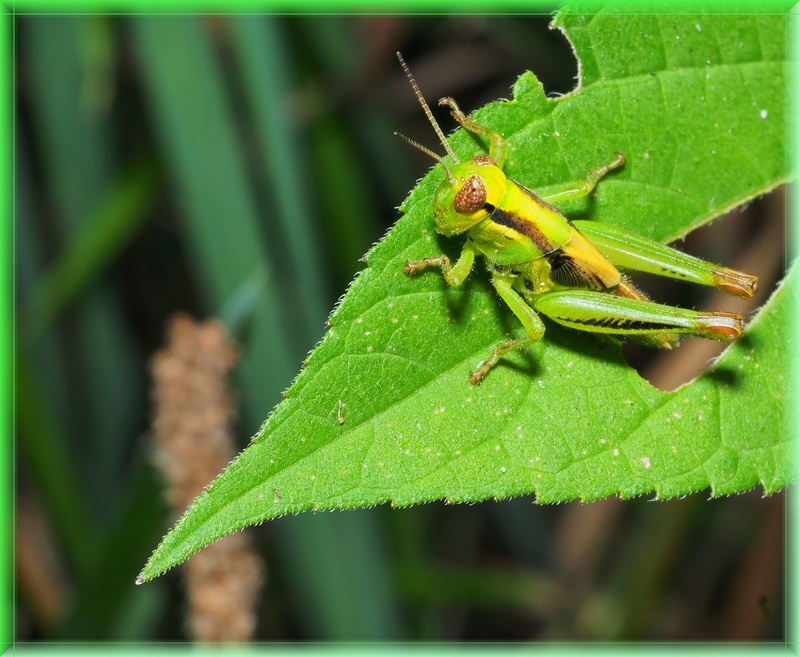 I love that green grasshopper – I never see grasshoppers anymore. When we were kids, we’d catch them and giggle while they jumped around inside our hands which were cupped together. When we released them we had what we called “tobacco stains” from those grasshoppers. I grew up in Canada and remember lots of them there in my youth, but can’t say I ever saw that many here in SE Michigan. We were in a new subdivision and a meadow was at the end of our street – the year before we moved, however, they started building a mall … there went the meadow where we used to catch tadpoles and run through and grab buttercups and wildflowers to take home to our moms. monkey always enjoy philosophical ruminations of tom. pictures too.